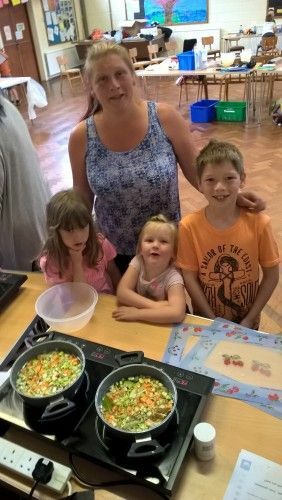 ‘Cook Well and Prosper’ is a project designed to engage families in a short, practical course that will tackle food poverty through education and hands-on experience. 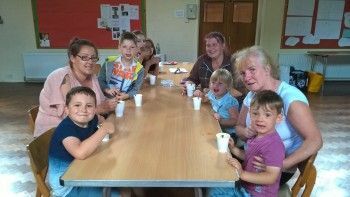 Local housing association, Your Housing Group received a grant of £934 from the Solway Fund to deliver cookery workshops aimed at improving the health of residents in a disadvantaged Maryport community. The sessions, which included two family cooking days, were held over an 11-week period at the All Souls Church Hall. The workshops provided local people with the skills and knowledge to cook healthy, affordable food. Those who attended were also given the opportunity to gain a Level 2 Food Hygiene qualification. Residents living in the Ellenborough ward face significant disadvantage. Unemployment is almost triple the national average. Obesity, diabetes and bad health due to poor diet and lifestyle are also significant health issues in the area. The sessions aimed to address these issues by demonstrating how to make healthy meals on a budget and improving participants’ employability through gaining the food hygiene qualification. The workshops also aimed to bring together the wider community. Attending a regular activity helps to reduce social isolation and gives people the opportunity to get to know their neighbours. Following the success of the ‘Cook Well and Prosper’ workshops, Your Housing Group are now planning another course to start in September which will give people the opportunity to gain another qualification.